“Summer Kisses, Winter Tears” has the feel of a spaghetti western, the type where the hero’s name is never given. Miller leads most of the way, augmented by a subtle vocal chant. Policastro grew up in a jazz, classical and popular music scene in Cincinnati, Ohio. After time in Germany, he moved to Chicago, where he is now based. Associations include Diane Schuur, Jeff Hamilton, Phil Woods, and Pat and Debby Boone. In addition to other gigs as an instructor, he is a jazz director at the Midwest Young Artists Conservatory. 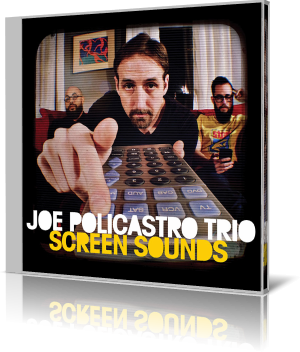 Screen Sounds is the trio’s third release.